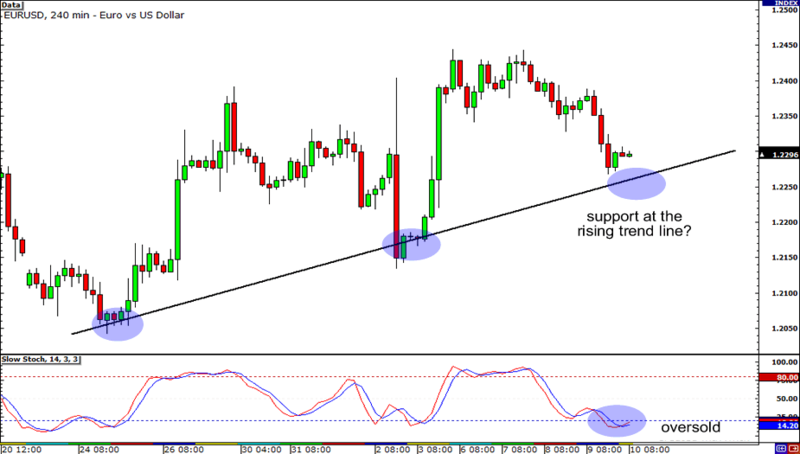 EUR/USD has been trading lower for the past few days, but be careful all you euro bears out there! 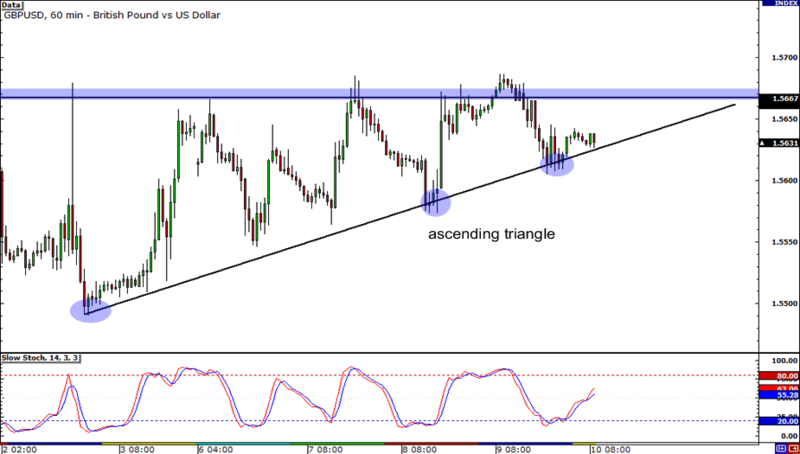 In the 4-hour timeframe, a rising trend line has become apparent with the pair making higher lows. Stochastic indicates that the pair is already oversold but don’t get too excited buying the pair just yet! It looks like it still has more room to move lower and test support at the trend line. Keep tabs on the 1.2300 handle. A strong bearish close below the level could hint that EUR/USD would soon drop to 1.2150. Meanwhile, a bullish candle on the trend line could mean that the pair is on its way back up to 1.2400! Also making higher lows is GBP/USD. In fact, taking note that the pair has gotten rejected around 1.5665 for a few times, you could actually say that an ascending triangle has materialized! A strong break above yesterday’s high at 1.5685 would probably be a good signal to go long. However, a strong close below yesterday’s low at 1.5605 may mean that the pair would soon trade all the way down to 1.5550. Finally, here’s NZD/USD for all my homies out there who fancy comdolls! 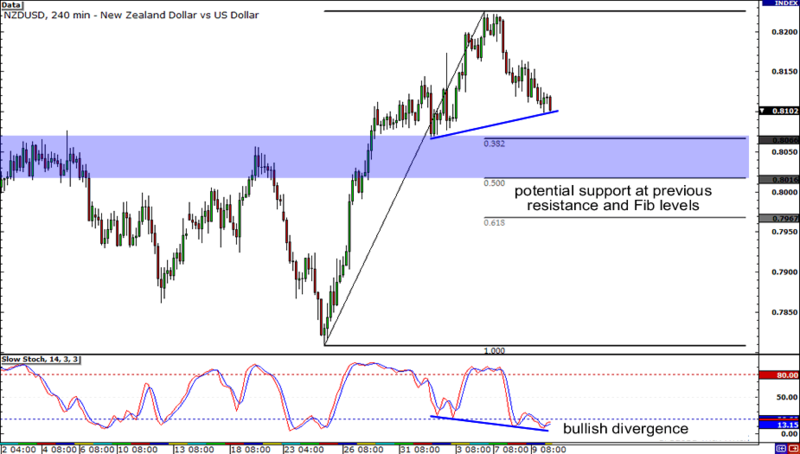 Stochastic signals that the pair is already oversold and indicates a bullish divergence. However, don’t pull the trigger just yet! Using the Fibonacci retracement tool, we see that the pair could pullback to around the 38.2% and 50% levels and test the previous resistance area. If there are enough bulls around .8050, NZD/USD could hustle back up to .8200. If not, we could see the pair tumble down to .7900.